Simply follow the link below, fill out the form and submit. 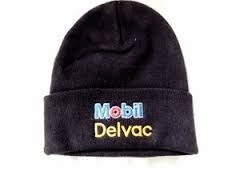 Limit one (1) Mobil Delvac beanie cap per email address. Beanies will be provided on a first-come, first-served basis, while supplies last. ExxonMobil employees are not eligible for beanie giveaway. All beanie requests must be received by January 10, 2014. Please allow 4–6 weeks for delivery.